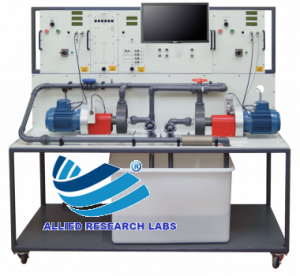 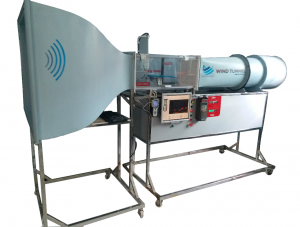 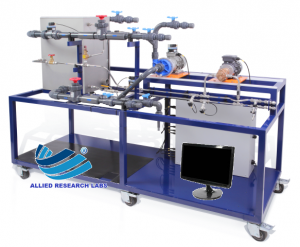 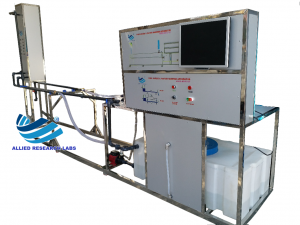 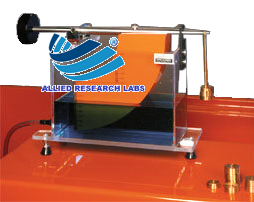 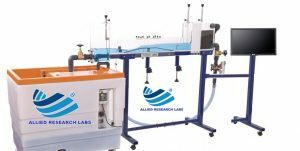 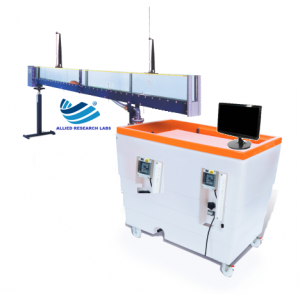 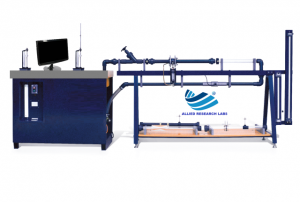 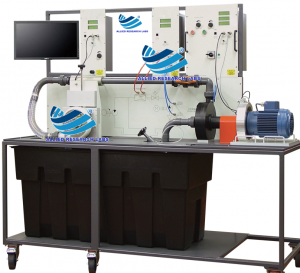 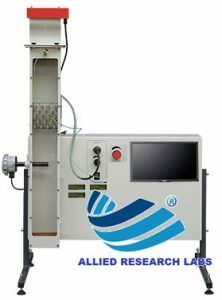 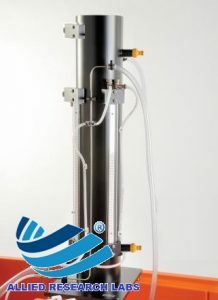 The ARL’s 1225E Fluid Friction Measurements unit provides facilities for the detailed study of fluid friction head losses which occur when an in-compressible fluid flows through pipes, fittings and flow metering devices. 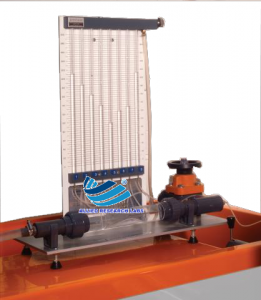 With this unit, friction head losses in straight pipes of very different sizes can be investigated over a range of Reynolds’ numbers from 103 to nearly 105. 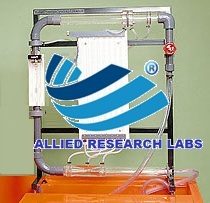 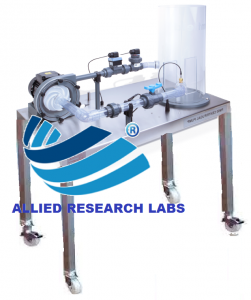 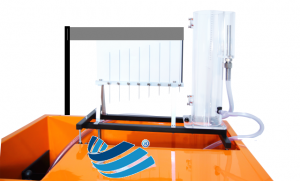 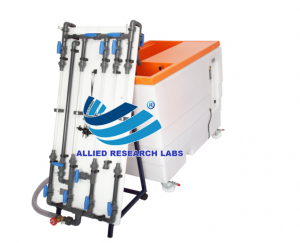 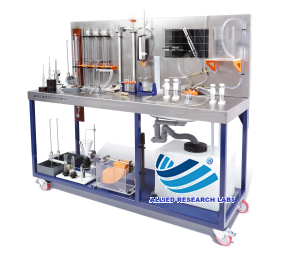 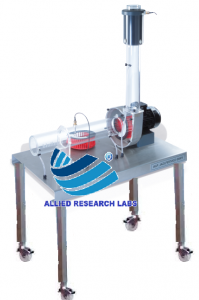 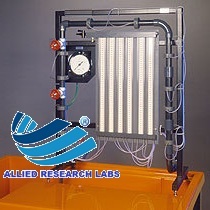 This covers the laminar, transitional and turbulent flow regimes in smooth pipes. 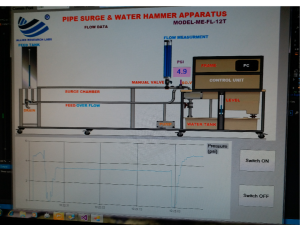 In addition an artificially roughened pipe is supplied, which at the higher Reynolds’ numbers shows a clear departure from the typical smooth bore pipe characteristics. 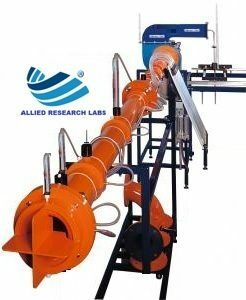 In addition to the equipment for the study of losses in straight pipes, a wide range of accessories are included such as pipe fittings and control valves, a Venturi tube, an orifice plate assembly and a Pitot tube. 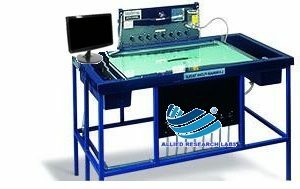 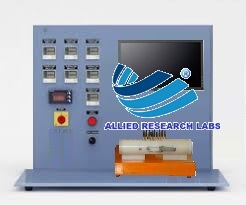 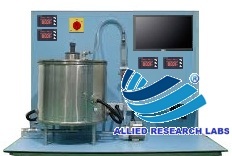 Supplied with State of the Art Automatic Data Acquisition Software.